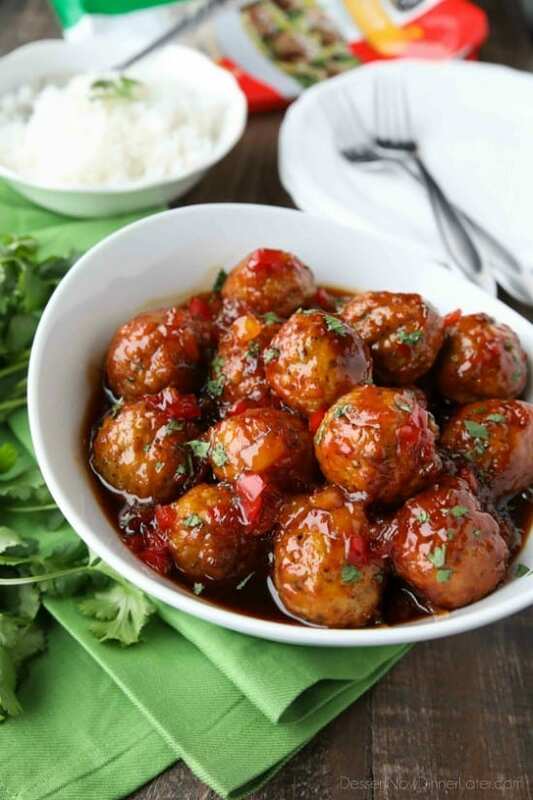 Sweet Fire Meatballs - Dessert Now, Dinner Later! 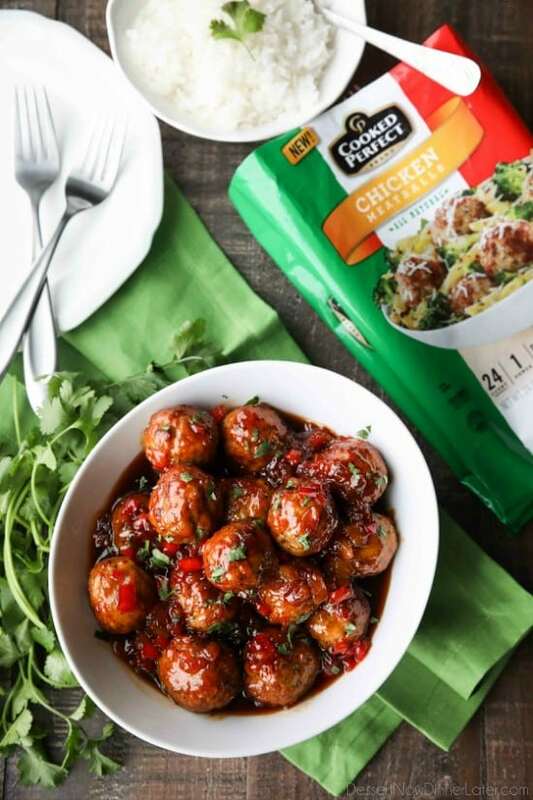 Sweet Fire Meatballs are sweet with a kick of heat and use frozen meatballs for a super easy dinner any night of the week. Amidst the homework and after school activities, I’m all for simplifying dinner time, so grabbing meatballs from the freezer section is an obvious choice. They’re so convenient! (Especially if you’re a busy mom like me!) More than half of the dinner prep is done and all I have to do is figure out what I want to serve with the meatballs. 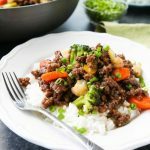 For this recipe, you whip up a little sauce and some rice, and dinner is ready! 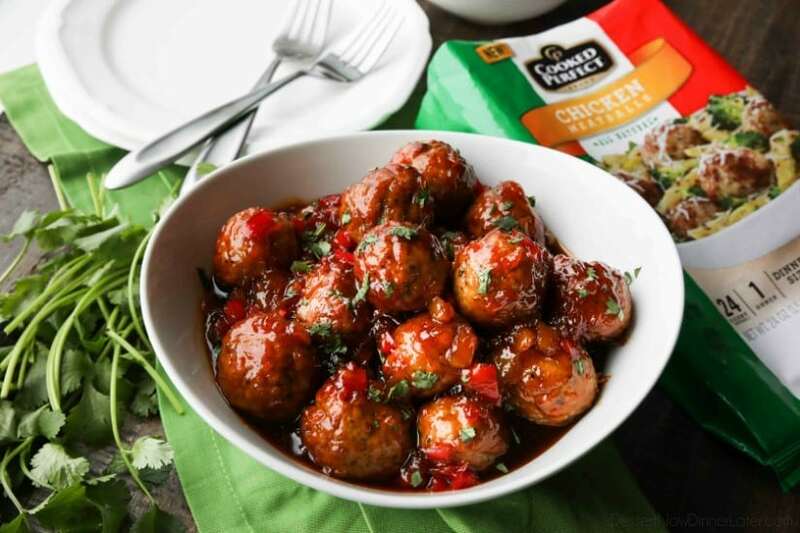 Cooked Perfect® Meatballs have quite the selection of meatballs to choose from. All Cooked Perfect Meatballs are made with select meats, real cheeses, and savory herbs, then flame broiled to sear in the flavor. 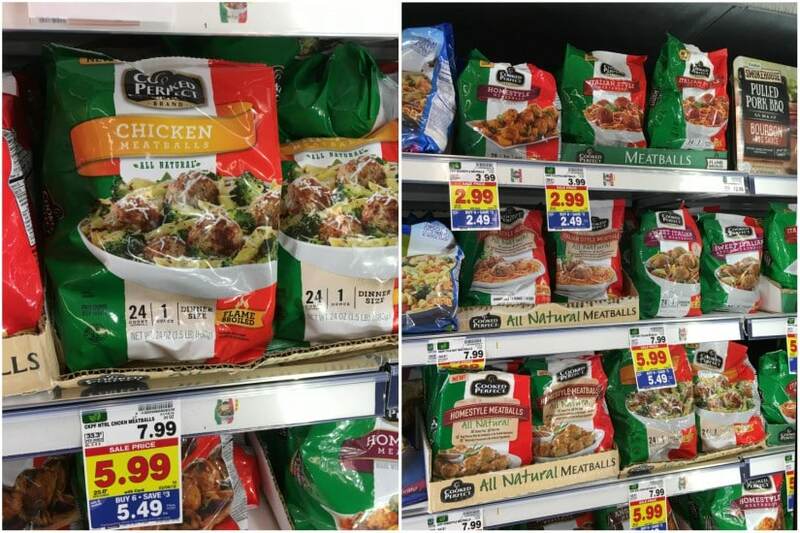 Right now, in celebration of National Meatball Day, you can Save $1.00 on Cooked Perfect. Awesome! 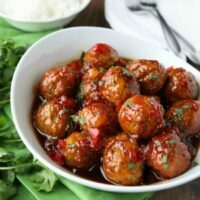 With so many options it’s hard to pick, but I went with Chicken Meatballs for this recipe. I’m sure the Homestyle, Turkey, or Angus Beef varieties would work great too. You have two options when cooking these Sweet Fire Meatballs. You can bake them in the oven and then toss them in the sauce, or you can cook them directly in the sauce. 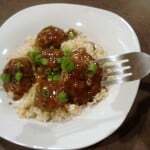 So depending on your preference (and tolerance for dishes) you will have tasty meatballs ready in 20-25 minutes. 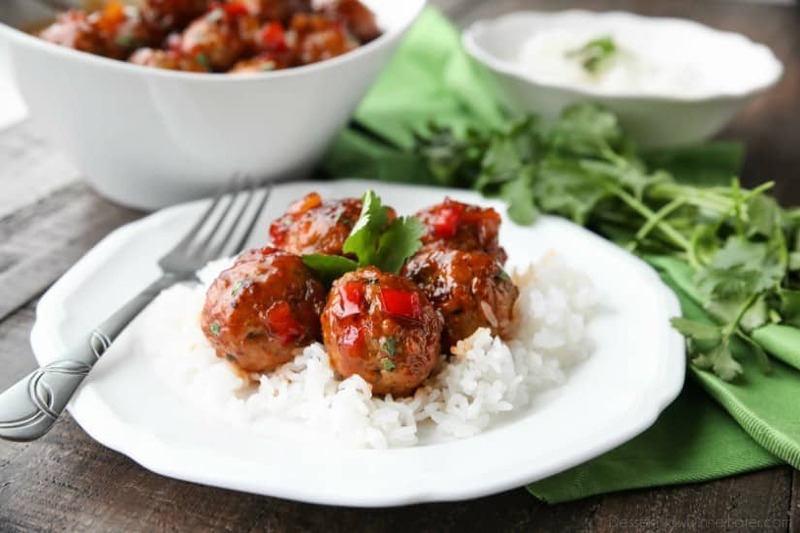 These Sweet Fire Meatballs have small bits of pineapple and red bell pepper to add extra texture to the flavorful meatballs. The sauce is a bit spicy, so if you have young children, I recommend replacing up to half of the hot sauce with pineapple juice or water. My eight year old son could not get enough of these Sweet Fire Meatballs! 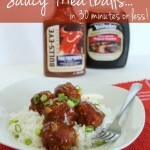 Want more convenient dinner ideas? Browse more meatball recipes. 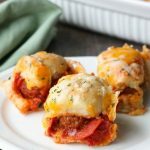 Place frozen meatballs in a single layer on a baking tray. Bake for 15 to 25 minutes or until hot. Alternately prepare sauce, add the frozen meatballs, cover and heat on medium for approximately 25 minutes, stirring occasionally. FOR THE SAUCE: Heat oil in a large saucepan over medium heat. Add red bell pepper. Sauté for 3-5 minutes, until starting to soften. Add the crushed pineapple, hot sauce, brown sugar, apple cider vinegar, and salt. Simmer until sauce reduces and thickens. Toss with cooked meatballs. Serve over rice. *If you are serving young children, replace up to half of the hot sauce with water or juice from the can of crushed pineapple to make it less spicy.